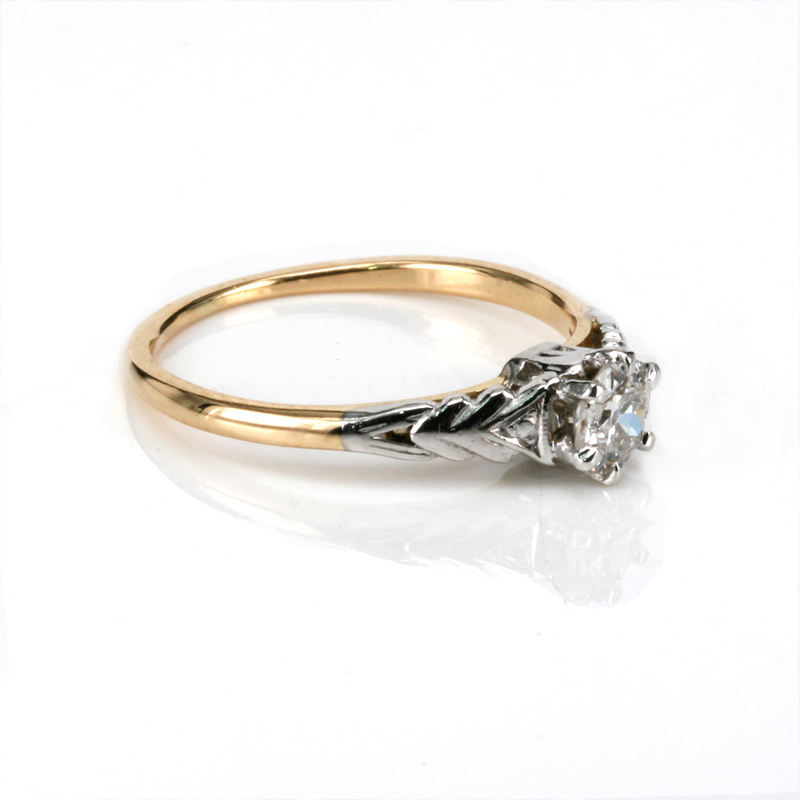 Product code: R524 Categories: Sold Items, Sold Rings. 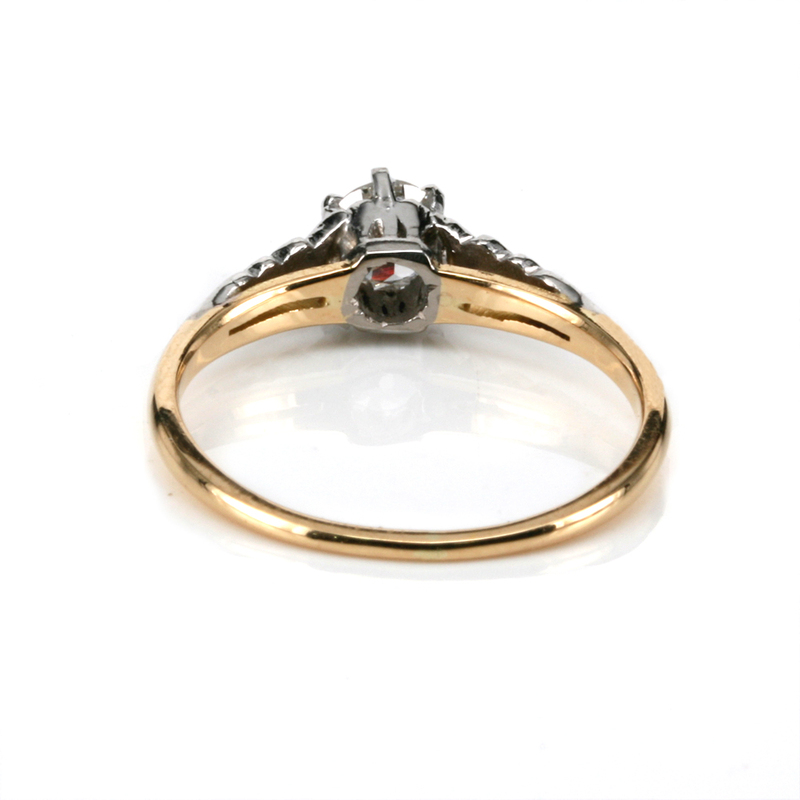 Here is a very attractive and elegant Art Deco diamond engagement ring that dates from the 1920’s and is sure to make any woman proud to wear it. Beautifully hand made in 18ct yellow gold and platinum, there is something so special about owning and wearing a genuine Art Deco engagement ring knowing that it is as unique as can be and not mass produced like many cast made rings today that are carbon copies of each other. Sitting proudly in the centre is a lovely early round brilliant cut diamond that measures 0.30 carats and is H in colour and VS in clarity meaning that it is a nice white and clean diamond. Set into platinum also helps retain the white colour of the diamond and the platinum work continues down each side of the band in a simple yet elegant design characteristic of many Art Deco rings. This platinum work measures 17mm across from one side to the other by 5.3mm wide at the centre and is so elegant that it will always be admired. 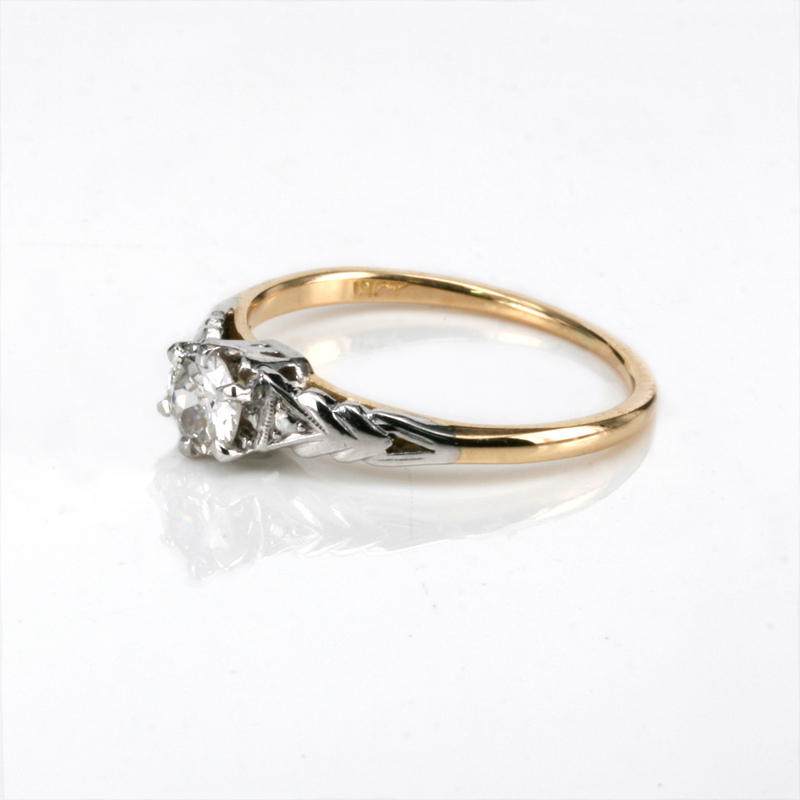 Genuine Art Deco diamond engagement rings are always so sought after and popular and this one will most certainly always be loved and cherished.